L3, Han and Lando take the Falcon out for a spin. Though, let’s be honest, Han is a much better hero than he is criminal. 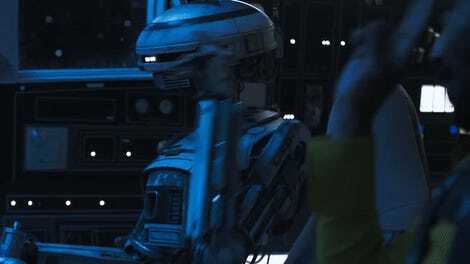 Still, the latest trailer for Solo: A Star Wars Story shows the moments in young Solo’s (Aiden Ehrenreich) life that put him on the path to being both. There’s an appearance by a young Lando Calrissian (Donald Glover), a lovely, blue-accented Millennium Falcon with all the upholstery still intact, and a 190-year-old Chewbacca. Check it all out and much, much more in the new trailer. 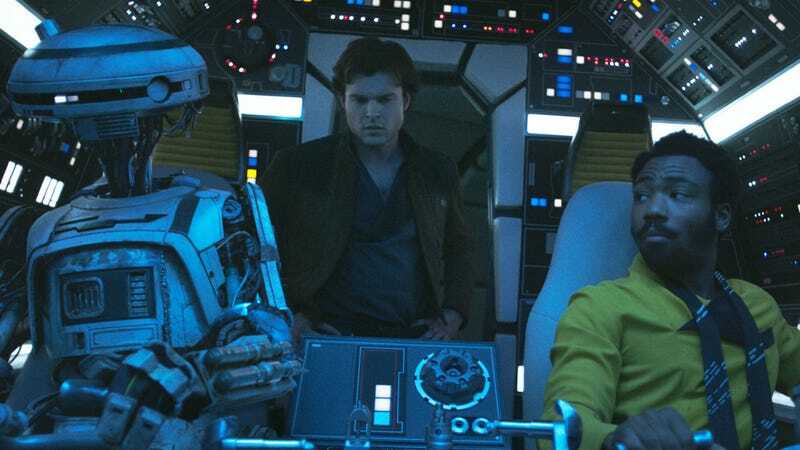 Announced for the first time way back in 2015, Solo initially featured Phil Lord and Christopher Miller as directors, though they departed the production during filming, where they were replaced by Ron Howard. The film, which also stars Woody Harrelson as Beckett, an older criminal and mentor to Han, and Emilia Clarke as Qi’ra, a childhood friend of Han’s, is set for wide release on May 25, 2018. It’ll premiere ten days earlier at the Cannes Film Festival. We’ll have much more on the trailer Monday morning. Oh, and here’s a new poster too.